Continuing his arguments before the Supreme Court's (SC) five-member bench hearing the Panamagate case on Wednesday, Attorney General (AG) Ashtar Ausaf Ali pleaded that the Hudaibiya Paper Mills reference against the Sharif family not be linked with the Panama Papers case as it differs in nature and substance. When the bench had asked the AG on Tuesday if the court should intervene in the Hudaibiya case, Ali had argued that it would set the 'wrong' precedent if the SC issues an order in the case. The Hudaibiya Paper Mills reference was initiated on the basis of a confession recorded by Finance Minister Ishaq Dar on April 25, 2000, wherein he conceded that he had played a role in laundering roughly Rs1.2 billion on behalf of the Sharifs through fictitious accounts. The AG told the bench that the case record in the Hudaibiya reference had been examined and that the company had obtained loans through foreign currency accounts. At this, Justice Saeed expressed the bench's frustration by saying that the lawyers were issuing different statements each time, which was confusing the bench. "If a story has been made up, you should stick to it," he remarked. "The court was told that investments had been made in the Qatari [royal family's] businesses. 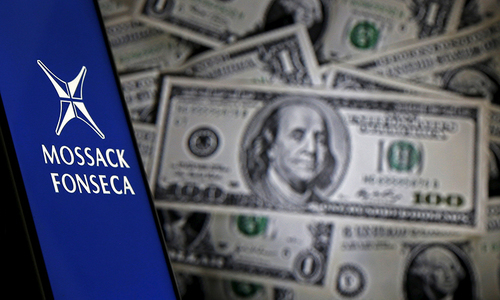 There was no mention of foreign currency accounts in the repayment of loans." Addressing the AG, Justice Saeed said: "You should argue as the attorney general. Don't become a party [to the case]." When the AG insisted that the Hudaibiya and Panama Papers cases should not be linked, Justice Saeed asked him why he was shying from the Hudaibiya case if the allegations in the case were false. "[And] if the are allegations are true, why was the case buried?" he asked. 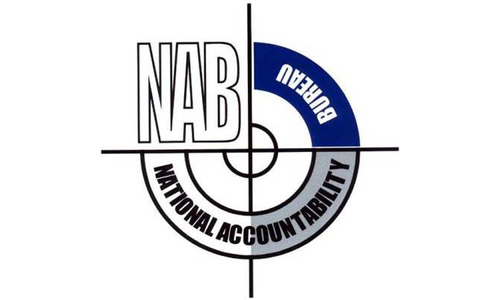 Justice Saeed further commented that the National Accountability Bureau (NAB) had "died in front of us yesterday". On Tuesday, the apex court had been frustrated by the apparent stubbornness of the heads of NAB and the Federal Board of Revenue (FBR), who stood their ground when grilled on actions taken against the Sharif family and those initiated in the wake of the Panama Papers leaks. NAB Chairman Qamar Zaman Chaudhry had reiterated his earlier decision to not reopen money laundering references against the Sharifs, which implicated the prime minister along with other members of his family. Continuing his arguments about NAB's failure to file an appeal before the Supreme Court on the re-opening of the Hudaibiya Paper Mills reference, the AG said: "Anyone could have filed an appeal against the court decision". When Justice Ejaz Afzal Khan pointed out that the right to appeal was reserved for the affected party, the AG said there was no such thing in the constitution. The matter of Prime Minister Nawaz Sharif's disqualification was also part of the hearing, with Justice Saeed stressing that "it is the right of every citizen [to know] whether their premier is qualified or not". The issue is about Sharif's disqualification as a member of the National Assembly, not as the prime minister, the AG responded. Justice Asif Saeed Khosa, who heads the bench, said the court had already declared that petitions seeking disqualification of the prime minister constituted a case of public importance. The bench asked Ali to assist the SC to "the extent the court can go to" regarding the premier's disqualification. To which, the AG said a disqualification reference could be sent to the NA speaker. In case of the speaker failing to decide on the matter, another forum could be approached, he said. "We have said on multiple occasions that if other institutions do not do their jobs, the court can intervene," remarked Justice Saeed. The court had declared in the case of ex-PM Yousuf Raza Gilani that the prime minister "can be sent home", said Justice Saeed. Justice Khosa also asked the AG what issues could arise if a reference is filed for the disqualification of Sharif, who is also an MNA. The AG responded that the procedure for an MNA's disqualification is written in the constitution, adding that an MNA is not a public office holder hence the writ of quo warranto may not be relevant. The AG said every public representative is required to submit details of their assets. If the assets are concealed or misstated, he explained, a trial is held in a sessions court. The conviction entails a three-year jail term and Rs5,000 fine or both. "Are you suggesting that the petitioners file a case against the prime minister under the Code of Criminal Procedure (CrPC)?" Justice Saeed asked. The AG replied in the affirmative, saying "the prime minister does not have immunity in CrPC cases under the constitution". Justice Khosa then asked the AG whether the sessions judge will be able to solve the matter in such a trial. "Who will prosecute, who will bring the witnesses?" he asked. Justice Saeed remarked that after NAB's response, the prospect of an investigation against the prime minister "has been buried six feet deep in the ground". Justice Khosa regretted that no one is cooperating with the court, and that "information is not being provided". The hearing was subsequently adjourned till Thursday, when Pakistan Tehreek-i-Insaf's (PTI) counsel Naeem Bokhari will present his closing arguments. I am sitting here in front of my computer READING the bygone proceedings and feeling embarrassed; do these people have any shame and self respect? Well done the Supreme Court of the Islamic Republic of Pakistan. Keep it up and hang on tough. We demand resignation from NAB and FBR chairman along with the people responsible not taking any action against Sharif's. Imran Khan has been right from day one and his persistence and commitment & patience paid off where in the 90's they did money laundering for over 1.5 billion now with interest that money would have been in few billions plus other stuff which they have done line in their sugar mills, Quaida-e-azam power project , metro, motorway, yellow taxi now orange train . I mean seriously how on earth we let this thing go . How unfortunate we as a nation where accountability is zero . Seems like institutions are working for protecting Sharif only. Our institutions and their leaders are saldly extrmely shallow, weak, insincere, lacking in character, currupt and pathetic. How much longer will we continue to tolerate such people to institutions like NAB and CBR? Result of this case would declare the direction of Pakistan. I suggest going to any main stream bank in pakistan and tell the bank a similar story that NS lawyer has been telling and try opening an account. I am pretty sure KYC policy wont allow an account to be opened up. if SC wants to end this debacle then they should immediately remove NAB and FBR chairman from their post and disqualify PM from his office . if not then we will see these things happening another 5 yrs ... but then again the judges will decide. i am just giving my opinion !! what more proof does the SC wants now that NS and his family are lying from their tooth !! A situation where state protects criminals and corruption kings. Is he AG of Pakistan or AG of sharif family. What a joke. So it's clear cut now that NAB, FBR and AG are there to protect corruption rather then investigate and prosecute. Tragically sad that we as a nation is responsible for selection of leaders who loot us from our own money in broad day light. No hope in sight. Long live the Elected king. IMRAN KHAN was very right when he pointed out the same. I support him against these plunderers. These corrupt are the reason we are at this stage in front of the world. We need new people, new leaders to come out and this can happen only when these people are taken care of. I plead to supreme court of Pakistan to judge them and hand them sentences in accordance with the law and without any bias. Moral Victory for Imran Khan and his party. It is fascinatingly worrisome that the heads of the State institutions have demonstrated utter lack of responsibility they were assigned towards safeguarding the integrity, interests and well being of the State. No wonder the state of despair we are in as we are. This case is an excellent example of the difference between the Truth and the Evidence. Everybody is taking only about the Evidence. While it is all about Truth. Truth never changes, but the Evidence, well, as we all see how attempts can be made to manipulate, distort and even destroy the Evidence, and yet Truth shines clearly through. Perhaps, perhaps Truth will prevail this time, as it always should. Only time will tell whether all this was just words or action. "The Hudaibiya Paper Mills reference was initiated on the basis of a confession recorded by Finance Minister Ishaq Dar on April 25, 2000, wherein he conceded that he had played a role in laundering roughly Rs1.2 billion on behalf of the Sharifs through fictitious accounts." PTI should file a separate petition in SC on this money laundering scam in order to bring the corrupt elements to justice. Case is related to Panama rather all other cases against Nawaz. The case will have no result. Its simple Nawaz Sharif camp has no proof of anything because the clean money was not used to build his fortune. If Nawaz Sharif's wealth was so clean why was it so essential to establish several offshore companies and do gurgling with his supposedly clean business money. Whatever the judgement, 99% of Pakistanis are convinced that Nawaz Sharif & Family minted billions illegally and took refuge by establishing offshore companies thinking that his corruption will not come to light. It is evident that PM and his family are involved in corrupt practices and have no legitimacy to hold any public office. This is simple. By now a verdict should have been announced. @Umar There should be nothing surprising. The moment one gets a party ticket from the party-head, she/he has sold his political free will, conscience and freedom. That is what they have managed to constitutionally do but it is morally wrong. It must not be that way. Lets get rid of all these once for all, and those who are corrupt to core and somehow ruining our country and killing poor people for decades with their corruption and self love , they all are same. Lets get our second freedom after one we had 60 years ago. He can't because he's a PML-N supporter. The country needs stability. We are at war right now. The PM should not be disqualified. We can feel the frustration of the SC from the government officers they seem to be scared with the PM and his ruling party but the nation is interested in justice which we think we will get . Justice must prevail! Corruption in high ranks in govt must be erased once for all if my dear land gets a last chance to get free from looters like pm and his clan. @ruby we are unstable BECAUSE of corruption. When rulers care only about plundering and lining their pockets, why would they focus on things important for thr public? Grow some sense people. Plus I'm worried the series of attacks is too closely associated with the timing of panama hearings resuming. Does anyone else get that vibe? @Muhammad Junaid Khan Please add 3P & other political parties wants "Status Quo. Lying in court/ under oath is perjury - that may often be considered worse than the crime. @Adeel NAB and FBR chairmen to be dismissed and need to be put behind the bars . @Dr. SalariA, Aamir Ahmad Wait for surprises from the SC ! and the decision may be win win for all concerned parties but only looser will be Pakistani and its people. Courts can only weigh evidence provided anc give ruling in light of the evidence. However, the public can vote without such hinderences. Elections are not far away. Why don't the sane ones of us convince others around us to vote out the criminals? @Objective View Very good questions raised by you. This has been the argument all along - institutions which are to protect national wealth and interests have to be made autonomous. Otherwise these institutions become tools in the hands of the rulers. Not just that, they have also become complicit in the crimes of those who looted the country by aiding and abetting the criminals to hide their ill gotten gains. This whole system has become an infested cesspool, which needs complete purging from top to bottom. @NOResult and they'll be more cases. @charlie and who's going to do that? one person? I salute this generation of Pakistan to stand up to these untouchable politician and demand justice for their corruption. All the looted money was for the betterment of our generation but it is now stacked in some other country outside Pakistan. It took over 50 years for us to stand up, but better late than never. It is not the job of courts to investigate or state institutions to fill the blanks left by the prosecution. This may set a wrong precedence. Neither courts can compel anyone to file an appeal.Wholistic approach is needed to curb the trend of investing huge sum abroad,though it still remains the discretion of the investor,unless money laundering has been proved or where looted state money is involved. Disqualify the sharif family members involved and hand over their assets to the state to pay off the looted wealth..An independent board can then sell these off to the highest bidder.. Though it may sound silly and too immature, but I strongly feel the SC is on tight reins, and very concerned about stepping on some sensitive toes! Come on your HONORS! please do what is necessary for our dear country, without fear or favor! The status quo has given high ranks to their blue eyed boys in the State institutions.. For Nations Future, Supreme coat of Pakistan has to play its due role to set a precedent for others to follow.. This case is already solved and we know that the people involved are guilty. Unfortunately, these institutions are nothing but a tool for our leaders to push on their agendas. Our leaders self exile themselves once they lose an election and then come back for new elections. They are not leading for Pakistan but for other countries. Pakistan soil is being used to fight the fight of other countries. @kamran sorry Brother just talking is not enough , stop saluting and giving impression we have done with our part. This calls for nation wide agitation, anything less is deplorable. This to me looks like an attempt was made to divert all attention the other way (recent incidents) so this can be wrapped up quietly as possible. Current government has no credibility left. But the big question haunts us, who will run the country? Everywhere and around we see vultures and self serving politicians and self made leaders. Majority of politicians has no common sense and knowledge to run school and let alone the country. Sad situation as previous dictators and politicians have never prepared their back ups properly. The way case is proceeding I think there will be no result and PTI will take the case to people on roads. The credit goes to the supreme Court judges bench who have shown how professional they are. They do not buckle down for the sake of Pakistan . The higher court is the only uncorrupted institution left and this is a landmark case for Pakistan's future. Just about everyone corrupt has been exposed. Only if the nation stops voting for these corrupt politicians. @Kabir WHAT educated people do you speak of; the lawyers? They are supposed top be an extension of the courts, and not lie; only the honorable ones do that -- the rest will lie through their teeth [which often will be gold plated]. This Panama-gate case is a open-shut case: verdict guilty and removal from office, as well as confiscation of property. I recall reading about Ayub Khan's ML; if someone was unable to PROVE the source of their wealth all of it was confiscated. As it should be in this case. @ruby We are at war against corruption also and this is a bigger war which is destroying the whole country like termite for last 40 years. If the country is to be saved then the corrupt should be brought to task immediately. No one is above the law, the bigger the responsibility and office the bigger is the punishment for being corrupt. THE ONE WHO DEFENDS THE CORRUPT ONES IS ONE OF THEM.